The target of £3,000 had been reached thanks to the generosity of a number of Network members. These funds have revitalised the project which is now making good progress. Twelve interviews are available on the MRS website and a further three will be available in the near future. 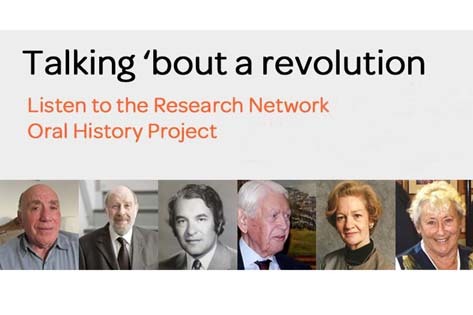 It is hoped to edit the remaining five interviews and relaunch the project in the Autumn with 20 recordings, as one of the events surrounding the 70th anniversary of the founding of the MRS. The Network is now proceeding with Phase 2 of the project. This is intended to fill gaps in the coverage of Research sector, in particular interviewing users of research rather than providers. Neil McPhee has taken over the interviewing and is intending to record ten more interviews in the coming year.